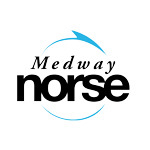 Medway Norse is part of Norse Group’s impressive portfolio of joint ventures, providing a range of services in partnership with Medway Council to commercial sites and the public. As a result of the partnerships continued growth we are looking to recruit a HR Business Partner into the team based at Gillingham. In this role you will be working with the local Partnership Director to deliver a range of strategic support across HR, ensuring that the organisations business plan is delivered effectively. Based out of our Medway offices, you will provide advice and guidance to the local senior management team on a range of HR disciplines, playing an active role in developing HR strategy and providing day-to-day support. Whilst there will be a need to work closely with our central HR function to ensure consistency across the business, you will remain focused on developing local HR solutions that align to wider group policy. This role will also cover some of our other local partnerships across the South East & London, meaning the successful candidate must have a full UK driving licence to meet the travel requirements. Ability to multi task and prioritise. Able to react promptly and professionally in a fast changing organisation. Ability to identify and effectively communicate risks. In return for your skills, you will receive a competitive salary, range of employee benefits including 25 days annual leave plus bank holidays, NEST Pension and career development and progression.